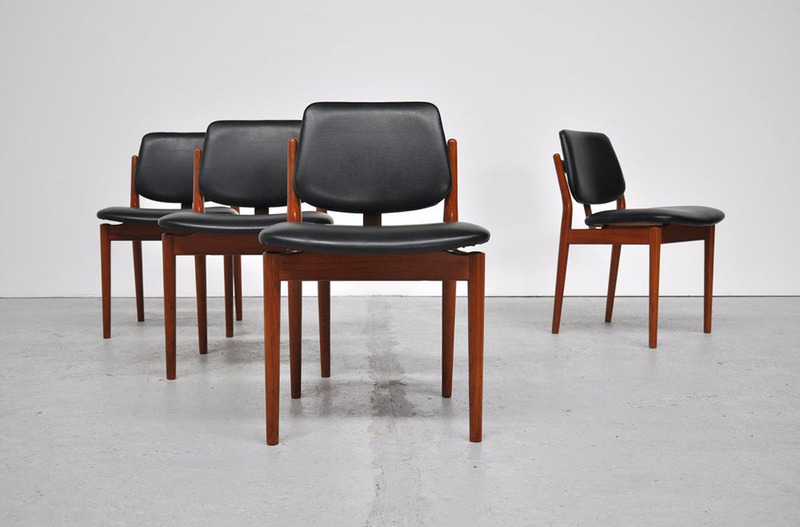 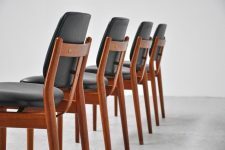 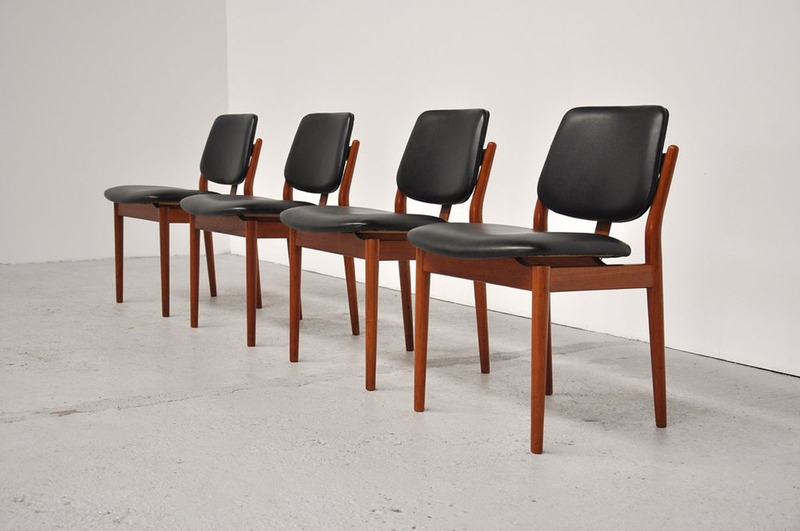 Very nice set of 4 dining chairs designed by Arne Vodder for Sibast furniture, Denmark 1960. 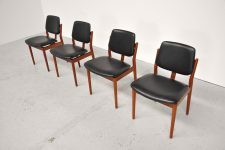 These chairs have a very nice warm teak frame and an original black leather seat and back. 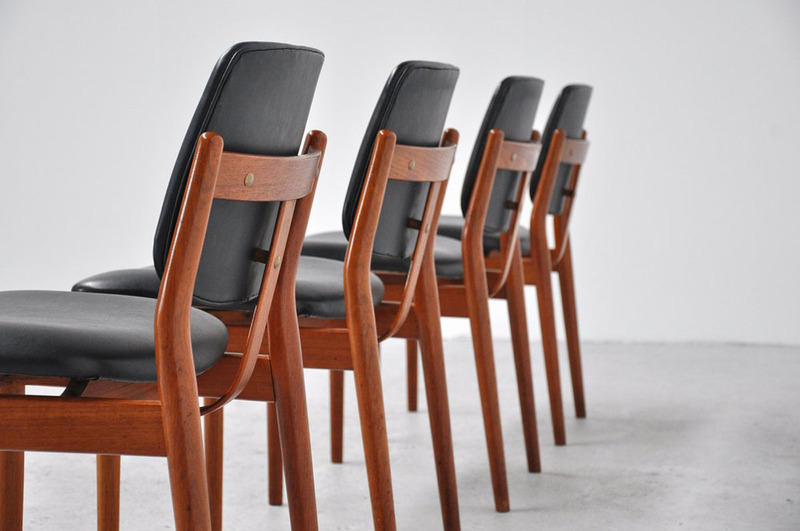 The chairs are very strong and in very good condition. 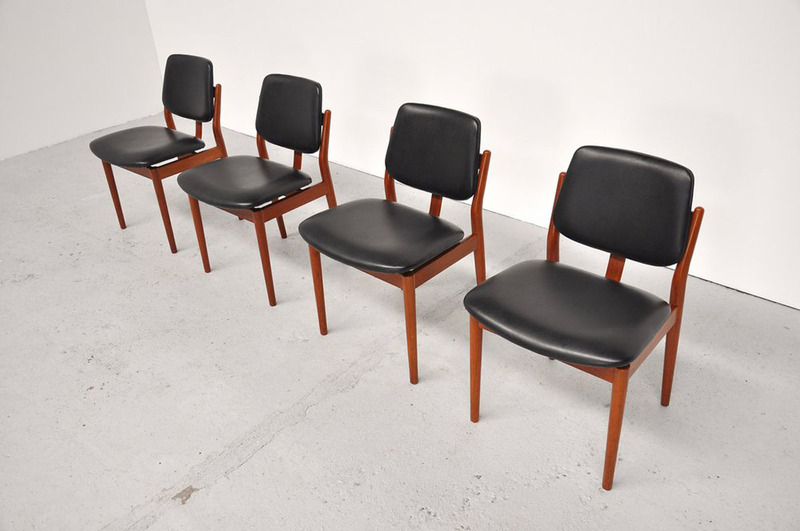 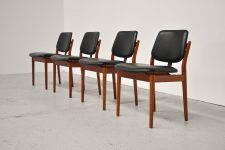 Very nice and subtle set of 4 Danish Modern chairs.